I plan to do more updates on my Twitter feed @nairsaj. When I have more content to write about, I will post it here. Applications that use Windows Installer logs both installation and removal events; these are available on the 'application' event log. These are extremely useful in identifying malicious application installs. There are many other events related to MsiInstaller; if you need to see all, filter the application log for event source of MsiInstaller. Service start and state change events. Note that configuration changes and state changes for a service is tracked by event ID 7036; this is already part of the LRUP code. Volume Shadow Copy shutdown events. Some of the malware may shutdown the VSS; the below one liner will give you more information on this log. LRUP code has a one liner to show the shadow copies created in a system; it's given below as well. When documents are downloaded from untrusted sources, a "trust" prompt is shown to the user when the user wants to edit the document. The full path of the document is saved under the below registry key when this happens. Want to see all with one command? Forensic use of UserAssist keys are well known. It primarily stores information about actions the user took with the Shell; actions such as starting applications, double clicking shortcuts, etc. Entries in the UserAssist keys are ROT13 encrypted, the encrypted entries can be viewed by issuing the following one liner. In order to decrypt the entries, we can use the function provided in this blog. Local storage in Chrome browser is part of HTML5 specification; it is designed to store persistent data (even after the browser is closed) local to the system such as the cookies. This is in SQLite format but can be accessed through PowerShell to get a rough idea about the web sites visited. Typed URLs - alternate location. The main script LRUP already contain many IE related artifacts; here is one more that we can add to the list. Under APPDATA, the system keeps a log of the URLs typed into the address bar to provide auto suggestion of the URLs that are being typed in. This log can be viewed using the Get-Content CmdLet. If you need to filter out the DLLs identified in the system that are non-Microsoft related, use the below one liner. For more information, check Trevor Sullivan's article. Application compatibility is a feature that can make older programs that have compatibility problems work better in Windows 7 and Windows 2008 operating systems. Since it is taken from HKCU location, it is an indication that the particular user ran these programs. The main LRUP code lists many event logs that are useful in an incident response scenario. In this section, let's look some additional event logs that are going to be useful to collect. The below log shows the firewall rule changes and other actions such as profile changes. The below log shows the time when a network is changed from a home network to office network. The below log shows when a network connection was made. Below log should be checked to see the RDP logins. More information on the event IDs is available at this MS link. Looking at the below log helps identify code integrity issues related to bad drivers or unsigned drivers. More information is available at this MSDN link. Speaking of drivers, we can use the below command to get a listing of PnP related driver information. When a device is attached the computer, Windows attempts to detect the device type and install the appropriate driver so that it can communicate and control the device. Completion of a device driver installation attempt gets recorded as an event ID 20001 message in the 'System' event log. The message provides device identification information and a status code for the device installation process. Devices that install successfully log an Event ID 20001 message with a status code of 0. To see this event, we can use the below one liner. Quickly identify a login event. Quickly identify a login event for a particular user. Quickly identify a login event for multiple users. Quickly identify login events between two dates. Login events for a particular user between two dates. Quickly identify error events for previous day. Identify currently logged in user. If the requirement is to get only the logged in user along with the time of login then use "whoami' or "quser". To see the privileges assigned for the currently logged in user. To identify the user profiles created. User profiles can be checked by looking at the below registry location using Get-ItemProperty CmdLet. To identify users and processes that were started. There are multiple commands that can be used but the builtin command 'qprocess' is the optimal one. It is similar to tasklist, but produces better output. It shows username, session id, pid, and image name. Another useful command is 'qwinsta'. This builtin command shows RDP sessions as well. 'quser' is another useful command; this shows the logged in users, session name, time, etc. This command is extremely useful in a server environment. To see if the user is part of administrator group. net localgroup administrators .This command will show all the users that are part of the group 'administrators'. 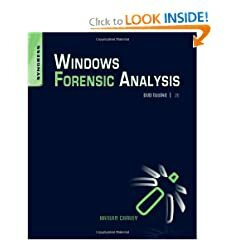 Have received many questions offline on the use of PowerShell and how we can get the desired artifacts from Windows system. While I have responded to most of those, I haven't gotten opportunity to update them here. I will try and update them here in a series of posts in the coming days. The commands and options I will be posting are to be used in addition to the already published commands in the LRUP code and the SANS paper. LRUP code is available here. One of the requests I got was to combine the output of all the text files and compress it so that a single file can be sent by the user from their machine to the IR analyst. If you want to use an external tool like 7-Zip that can be processed from the command line, it is easy to implement. However, if you want to use an in-built tool or script then there are multiple options. As an another option, take a look at David Aiken's post from MSDN. Code used in the paper is now available from the CodePlex site. This is a version 2.0, which is optimized for PowerShell V2. All new updates will be available at the CodePlex site from now on. Comments and suggestions can be posted here. An Information Security professional, who has been in various roles in IT including desktop management, system administration, network management, telecommunication and Information security. Currently specialised in Digital Forensics and Incident Response (DFIR). Started blogging in 2007 because I wanted to share my experience and ideas to the world.